From today, Dr. APJ Abdul Kalam will live in our memories as inspiration forever. 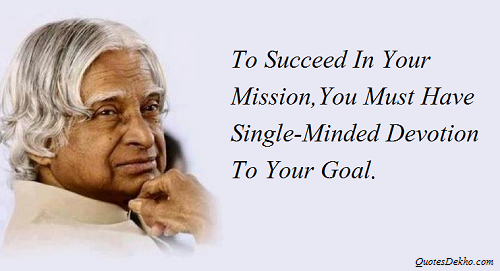 His life, coming from a very poor background to becoming the Missile Man of India, the most revered engineer of the country, is a motivation for every student. From a very young age till he breathed his last, he was devoted to India and its people, with a mission to make India a superpower. 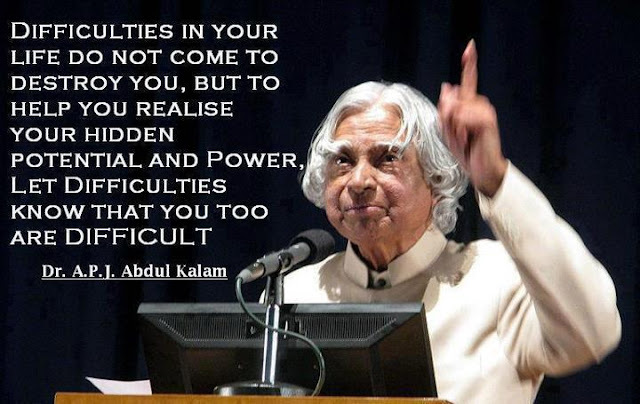 Today we reflect what he could have said to the JEE or Medical aspirants of the country. 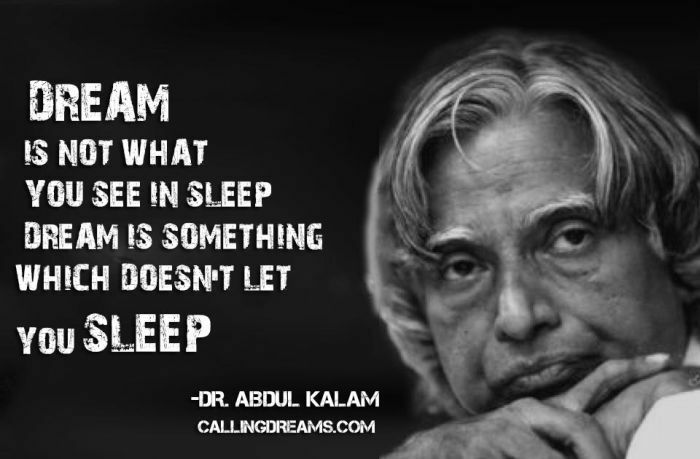 The most famous quote by Dr. Kalam, "Dreams are not what you see in sleep, they are the thing that don't let you sleep". If your dream is to become an engineer or a doctor, you need to crack JEE or AIPMT entrance and that dream should not let sleep. Your one point focus for two years should be to completely internalize the 11th and 12th Science syllabus and do well in your board exams as well as JEE/AIPMT entrance. Confidence and hard work are the best medicine to kill the disease called failure. Hard work is certainly the key to crack any entrance exam. Keeping your confidence high will help you get through two year long preparation routine. Make sure you remain on track for the entire duration because then only you will get ahead of others. While preparing for JEE/AIPMT entrance you face many challenges, especially difficult syllabus, long work hours etc. In no way let these difficulties stop you, be strong and find ways to tackle them. Understand your hidden potential and use it as your power. This is the best advice. Many student fail to crack the entrance exam despite putting a lot of hardwork in their preparation. Where do they lack? It is in the single minded devotion. They get distracted with a lot of things like internet, TV, social networks etc. A dedicated preparation routine will make you see success. In your school, tuition or coaching institute, you may find many students who are much ahead of you. You might be finding solving JEE/AIPMT questions really difficult to solve. If you fail, never give up because F.A.I.L. means "First Attempt In Learning". End is not the end, in fact E.N.D. means "Effort Never Dies". Never give up your dream, success in JEE/AIPMT will be yours.